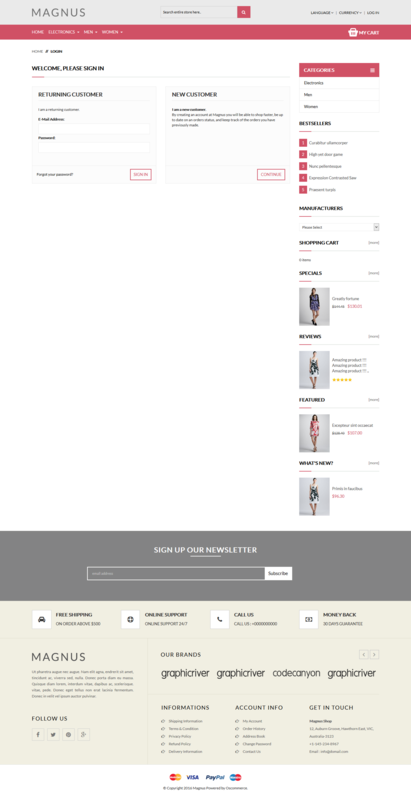 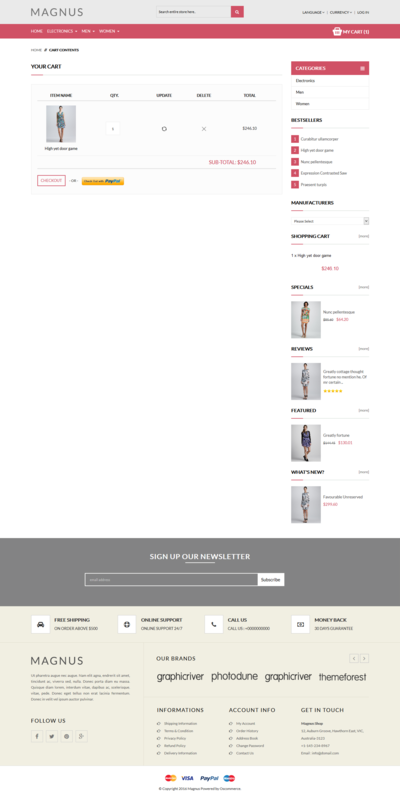 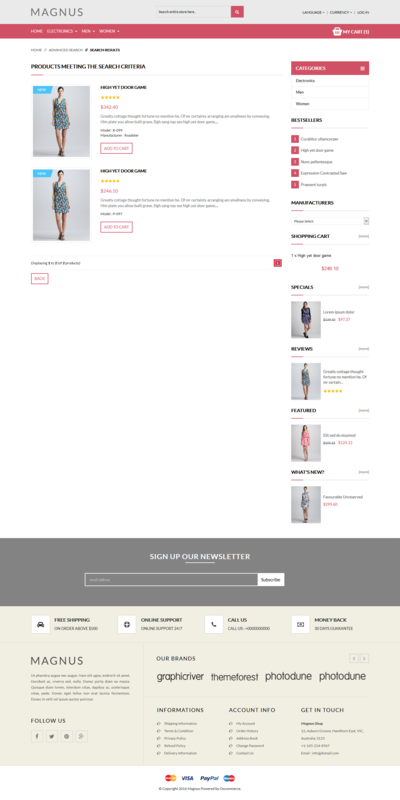 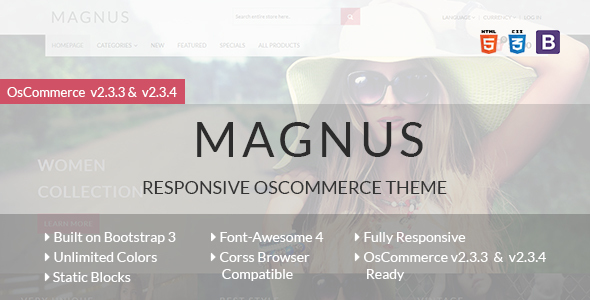 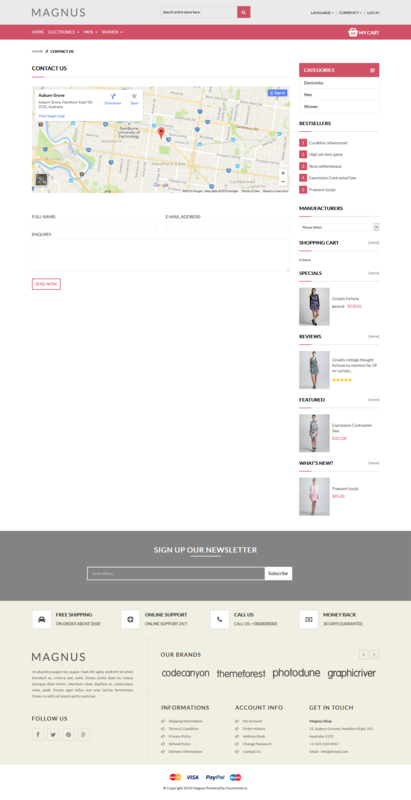 Magnus is a modern, stylish and fully responsive osCommerce theme suitable for any kind of e-commerce shop. 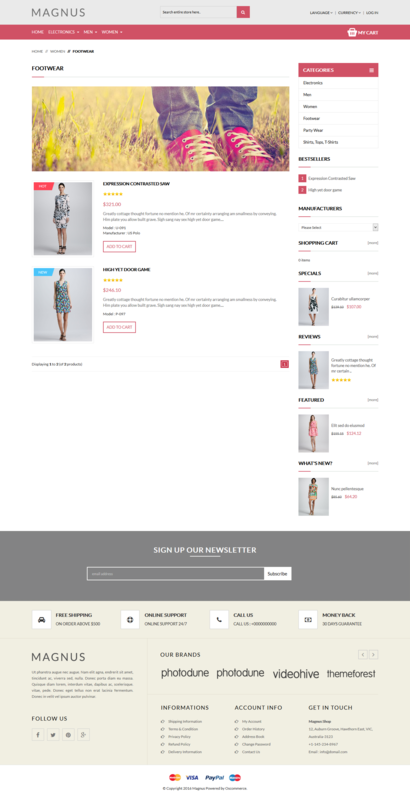 Magnus is built using latest technologies like HTML5, CSS3, Bootstrap 3, Font-Awesome 4 and latest jQuery. 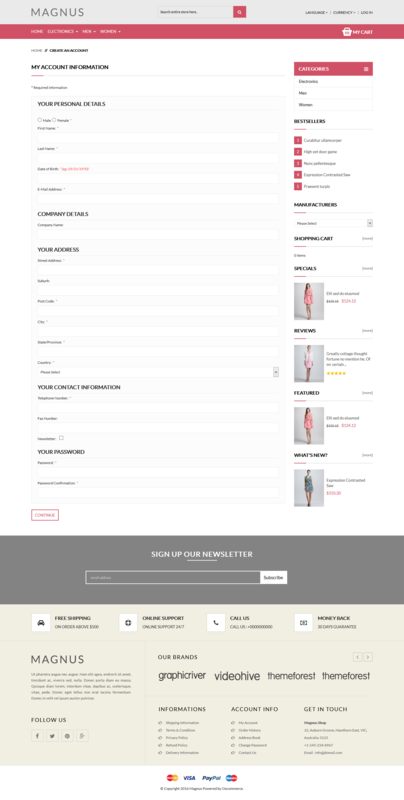 It has Unlimited Color Option with Strong Theme Admin Panel and many more. 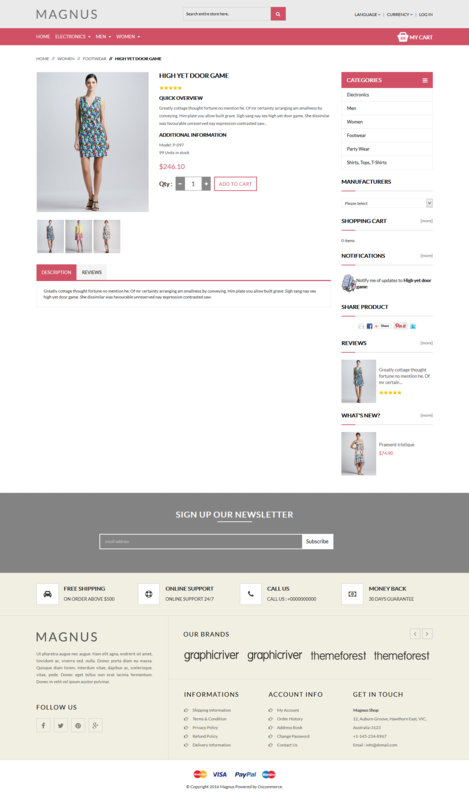 Including Quickstart pack of osCommerce v2.3.3 & v2.3.4 only.